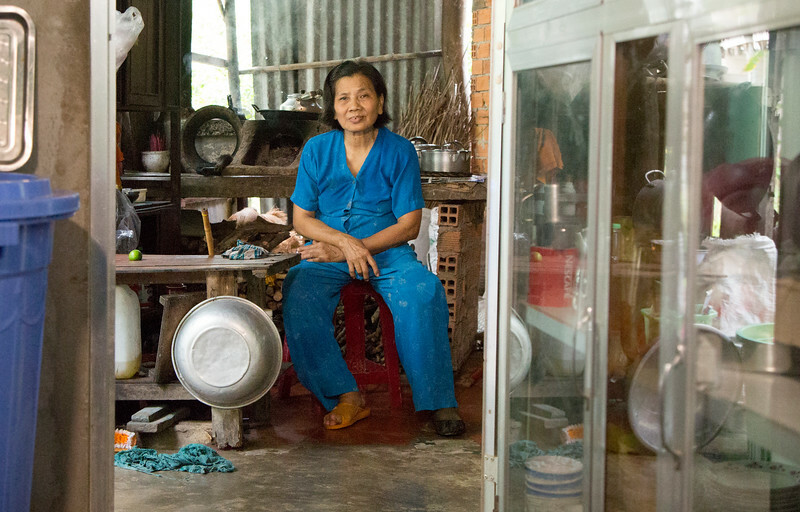 Miss Dinh is a housewife and full-time caregiver for her terminally ill husband. Dinh lost her leg walking down the road during the Vietnam war, she was in her early twenties when she stepped on the land mine. Previously, she had a difficult and heavy prosthetic that was painful and she could not walk. Dinh was fitted with a Mercer prosthetic in 2014 at the first fitting in Ben Tre and now she can do all of the household chores and care for her husband.